Award-winning novelist and former St. Louisan Jonathan Franzen is a hot topic in the media world — again. As the summer movie season began, the first thing one might have detected was a sense of irrelevancy. That there would be a phalanx of sequels, comic book heroes and retreads of well-known pop-culture material. What was less evident at first was a sense that many of this year's offerings were not just familiar but ... unnecessary. I spent a lot of Friday with headphones on. We hosted the first Beacon and Eggs meeting (put together by co-contributor to this blog, Peter Franzen) at Café Ventana, with a panel of people important to the future development of Grand Center. And if you couldn't be there, we recorded it. After we got back into the office Friday morning, I edited it and uploaded it as this week's contribution to the Beacon Roundtable. You can hear it here . The death of Claude Chabrol this weekend provides further proof that the masters of the Nouvelle Vague, celebrating its 50th anniversary this year (depending on how you determine its origin), are all in their sunset years even as their films, new and old, continue to shine. 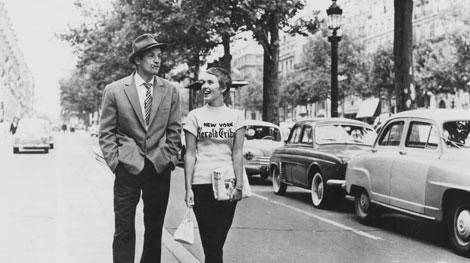 "Breathless," the iconic French New Wave movie from 1960, is being re-released in an impeccable new print, and it opens Friday, Sept. 10, at the Tivoli. In part homage to the low-budget American crime movies that flooded Europe after World War II, in part a brilliant exercise in stylistic innovation, the movie remains a landmark of 20th century cinema. For time immemorial, theatrical renderings of adolescent angst have revolved around typical themes of boy-meets-girl, or occasionally, boy-meets-boy or girl-meets-girl. But boy-meets-horse? Though the premise is a rarity, the play’s not exactly new. “Equus,” first produced in 1973 and presented by St. Louis’ HotCity Theatre Sept. 10-25, tells the story of 17-year-old Alan Strang (Drew Pannebecker) and his sexual and religious preoccupation with horses. Debbie Lum will visit her native St. Louis later this month on an interesting errand. Originally, she was set to arrive, purely to celebrate her mother’s 70th birthday. That aspect of the trip is still alive, but a few wrinkles have been added onto the itinerary of the San Francisco-based video editor and filmmaker. There is a glowing sign of changing times in downtown Granite City: a stylish marquee on a just-completed state-of-the-art cinema, within eyeshot of an old landmark steel mill that's up and running again. 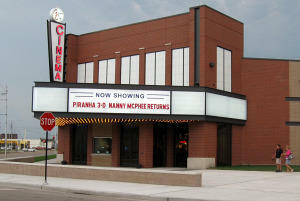 Granite City used $4.6 million in tax-increment financing funds to pay for the theater, in hopes that it will draw people downtown. ____ 1. December 2009. Release "Avatar" in theaters. Make quadrozillion dollars. Almost everyone knows of renowned author Samuel Clemens -- especially here in Missouri, where we're proud to call Hannibal his home. But the life of the man whose pen name was Mark Twain is far from an open book. For example, few people realize that a chance meeting in his early 20s with a young girl may have sparked and sustained his writing career and provided the inspiration for the character of Becky Thatcher in his most famous novel, "The Adventures of Tom Sawyer." Even with all the ways to access the Beacon that I talked about here two weeks ago, one place you won't usually find us is on paper (unless you print out an article yourself, of course). The history of St. Louis blues festivals -- like the lengthy, proud tradition of St. Louis blues music -- is a story that can be confusing. It's also a story that has plenty of different perspectives and fascinating characters, just like many of the famous blues songs born here on the banks of the Mississippi. For "Screwed Again," a reprise of sorts of 2008's "Screwed In" at the Gallery of the Regional Arts Commission, nine local artists spent days painting a mural that occupies three walls of the enormous main gallery. AGE: Wild Cool & Swingin' started about 12 years on Wednesdays at BB's Jazz, Blues & Soups. INSTRUMENTS: We are a nine piece group - featuring Charlie B on the vocals ... backed by a four-piece horn section and keys, guitar, drums and percussion. In contemporary rap slang, "get low" means get down and dirty, but in the mountains of Tennessee in 1930s, it meant "get down to business." The business Felix Bush (Robert Duvall) wants to get down to in the fine new independent movie "Get Low" is his funeral, and he is not willing to wait until he dies. PALM SPRINGS, Calif. - Four years ago my partner, Marty Kaplan, and I took off on a road trip from the banks of the Mississippi to the beaches of California. Vacation and visits with relatives were very much on our minds, but along with such pleasures we packed some serious business into the journey. Today, he and I are in the middle of a similar trans-American journey across the country. This blog comes to you from Palm Springs, and I hope you'll find my very first ever blog not too swollen with a lot of hot air. 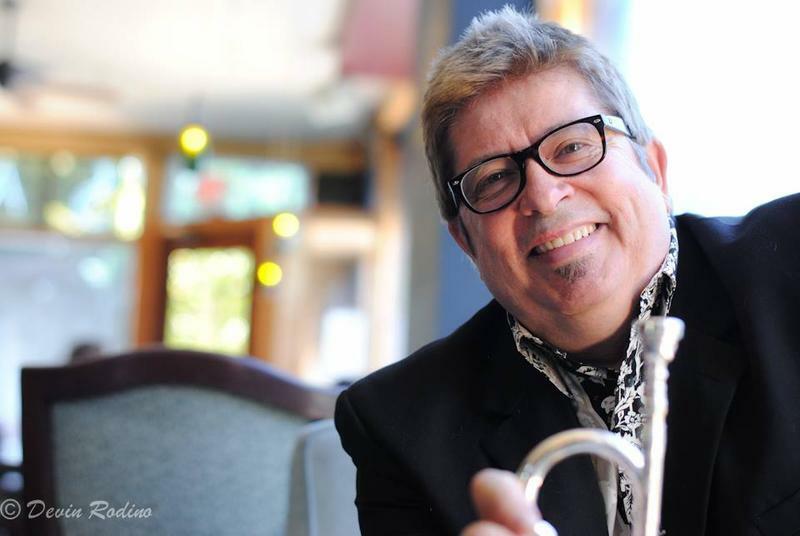 This Saturday, Aug. 7, at BB's Jazz, Blues & Soups, the St. Louis jazz and blues community will gather together to raise funds for one of its own - Gabriel. A fire in June severely damaged the East St. Louis home of the man who has been a legendary DJ, musician, record producer, club owner and concert promoter in the metro area for more than half a century. Music runs from 5-10 p.m. at BB's, and there's a $10 minimum donation at the door. The lineup includes Cryin' Shame, Silvercloud, Ron Edwards, David Dee, Uvee Hayes, Marquise Knox, Arthur Williams and special guests. After St. Louis' longest running radio station, KFUO-FM "Classic99" changed format in early July, classical music lovers bemoaned the loss of their beloved station. But thanks to St. Louis Public Radio (KWMU 90.7 FM), classical radio is still available in St. Louis -- with a twist. On May 24, the public radio station began broadcasting KWMU-3, a classical music channel available on HD radios. "When we knew that the city would be without a classical music service, we certainly wanted to fill that void as best we could," said Tim Eby, KWMU's general manager. As we enter the second decade of the 21st century, the music business continues to splinter and transmogrify in the face of continuing technical advances and resulting changes in the way consumers obtain music. Digital downloads -- legal and illegal -- have transformed the music industry from a business model ruled by major corporate conglomerates into a free-for-all environment that's increasingly unpredictable, volatile and independently focused.